It is a typical warm and humid day of Singapore and you want to cool off after rustling through busy roads, there is no better option than a ceiling fan. They are not expensive. They don't require much power. They are easy to control and do not, by any means pollute the environment. Why buy a ceiling fan when you can afford expensive ACs? Air conditioning system is a costly affair with a lot of maintainance and power costs. Also, sometimes in a humid weather, they are not enough even after costing 50 times more than a ceiling fan. The need for ceiling fan arises when the air conditioning in your house fail to accomplish proper air circulation and distribution adequately. The ceiling fans are efficacious in producing a wind chill effect in your roons during humid summers by rotating air in the room. Your house is designed to enable airflow in it via an internally designed air conditioning system. But to evenly distribute the air pockets, a ceiling fan is the cheapest way. 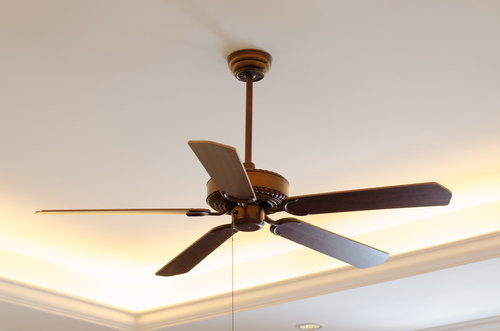 Before buying and installing a ceiling fan in your home, you need to consider certain things. Firstly, you must consider the location of your house. The climate determines your appliances and uses and a ceiling fan is a less expensive solution for Singapore’s humid climate. You must also consider the space area of the room where the ceiling fan is to be installed. Lastly, you need to carefully decide which company suits you the best, considering their general popularity, warranty period, hidden charges etc. You have a plethora of models to choose from, but consider the one which is sized to your requirements. Blade type, number of blades, length of the blades, R.P.M are some of the factors which should ultimately decide what you want to buy. 1. You must see that the design of fan you choose suits your present decoration theme. It might be traditional or contemporary or transitional, but should augment the decor of your home. Wooden finish or good metal work gives an elegant look. 2. A very important factor that determines the effeciency of a modern ceiling fan is blade size. Basically, shorter blades means less circulation of air and is suited to small rooms, while fans with larger blades is ideal for larger rooms, like the bedroom or living rooms. The size of the room determines the size of fan you buy. 3. The remote control should have proper and current features. Who doesn't want to speed up without getting up? Also you can rotate it in reverse directions during hot summers to eliminate hot air pockets without moving from your couch. 4. An ideal ceiling fans must be energy effecient and must not consume more than 60 watts. 5. Warranty: You must consider the warranty period of the fan motor. Better ceiling fans are provided with lifetime warranty because they are designed for usage of long term. 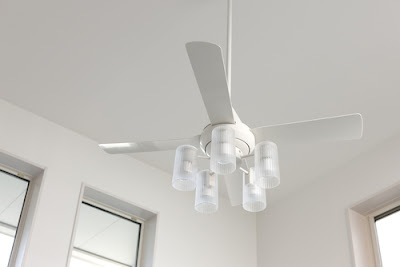 One of the most recommended companies for ceiling fans is Fanco ceiling fan. Fanco has been renowned for years for their quality products and service, and Fanco fan marketing has also received awards. So, if you are thinking of installing fanco ceiling fans in your flats or houses, you might find our reviews helpful. Fanco fans, first of all, fulfils the criteria of exquisite designing. They are being created in modern and trendy styles with time. The most important thing is the price, and despite its grand features and looks, the price is reasonable. Fanco has made the models available in varied sizes such as 42 inches, 54 inches 52 inches. You can choose the one suited to the size of your room where you are going to install it. Size of the fan matters a lot. Larger the size, stronger the breeze it provides. If your room is quite spacious, or you have a large drawing room, you must install three to four of these large sized fans for cooling the whole room as that sets up the winds in the room correctly. A single medium sized room should have a medium sized fan. Remote controls are also available provided with the set of buttons to enable you to operate it with ease. But these remote controls are subject to bad functioning and are not reliable. 1. Price: Fanco ceiling fans are priced reasonably at 100$ and above. The price goes higher due to transport and installation. They are available in online stores as well, where you could choose far more easily and compare efficiently. 2. Design: Fanco fans are designed for good furnishing. So, if you are installing it in your living rooms or your bedrooms, you can be assured that you will get a colour and design suited to your room. 3. Durability: These fans are generally durable. And the warranty period on the components is upto 5 years and on the motor, it is lifetime! 4. R.P.M: R.P.M means rate/ rotations per minute, which means how any times the fan rotates in a single minute. Clearly, more RPM means more speed, more wind. Before you buy these fans, you must check the R.P.M of the models, so that you can operate the fans in all the possible levels which you might require. It is very steady on the maximum level as well. 5. The detachable lights attached to the fans are designed well. If you want to beautify your home, the lights on the fan are a must-have. They not only provides proper lighting, they add a little sophisticated and luxurious touch to your home. 6. After sales service of Fanco is great. So, if you find some defect, you can contact the company for help and the agent will instantly help you with the same. Usually they reach to you so you don't have to bother for the transport. 7. Fanco provides lifetime warranty to its fan motor. Why not choose fanco fans? 1. Looks over features: Go for Fanco fans only if you are searching for a good-looking fans. The models come in quality and trendy designs. But when it comes to functioning, it has certain problems. Even though these have been corrected and improved over the years, some defects continue to exist and have been reported by quite a number of users. Nevertheless, Fanco fans are quite popular and they provide good value for money, should you know which model to suit you best. 2. 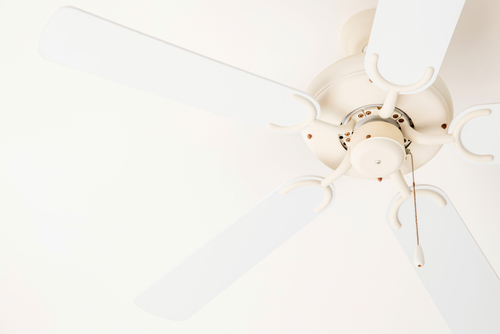 Energy Efficiency: Fanco makes excellent fans with lights, but incase you don't want your electricity bill to rise or don't want your fan to be fancy, there are other options you can consider. Concluding, buying a fan is not so tough, but you must consider the factors stated above to get the most out of your money. Fans add a beauty to your room and you buy them rarely, so whenever you do, make sure you're doing it right. They are available in online stores at a click away, but for more intense and satisfying shopping go and see them yourselves in the local stores.